Whether you're taking a step back in time to visit our deep historic roots or racing to the future at the Beatrice Speedway, you'll find yourself captivated by the beauty of Beatrice. Beatrice welcomes you with friendly shopping, five-star dining and attractions galore. We honor our past through nationally recognized museums and monuments - namely the Homestead National Monument of America and the Gage County Museum, both designed to remember the past in the contest of today. 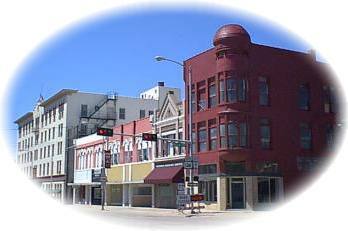 Very few people can relate the town of Beatrice with such notables as Robert Taylor, Harold Lloyd, Berlin Guy Chamberlin, C.B. Dempster, and Meadow Gold, but each has a story of their beginnings in this midwestern community. Look to Beatrice to provide many outdoor recreational activities. The surrounding area has many wildlife management areas as well a hunting lodges. With more than 6,000 acres of prime hunting land, whether you stalk with rifle or cameras, we have your shot. Other sporting opportunities include the Beatrice Speedway where you'll find weekend IMCA racing, the Beatrice Bruins, and summer league soccer, baseball and softball games. If it's antiquing and specialty stores you're after, Beatrice is your destination. Beatrice hosts various antique shops with all the hidden treasures you never knew you were looking for. Several homemade and handmade products are available in Beatrice as well, for those who take the time to browse. Beatrice owes it existence to a group of pioneers who, unknown to each other before boarding the boat, journeyed together up the Missouri River from St. Louis in 1857. They formed one common mission: to "explore Nebraska for the purpose of selecting a town site." Their committee - known as the Nebraska Association, in which each member tossed in $100 to cover expenses for this scouting expedition - disembarked at Nebraska City, where they split into two parties. One group eventually formed the backbone for today's capital, Lincoln. Their companions moved southwesterly until they wandered upon the banks of Indian Creek where it meets Big Blue River. The pioneers, led by Judge Fitch Kinney, named their new venture Beatrice (pronounced Be-AT'trice) for their town in honor of Julia Beatrice Kinney, eldest daughter of Judge Kinney, the first president of the Nebraska Association. This name was chosen over the first proposal of: Wheatland. When the National Homestead Act took effect six years later, Beatrice became a destination spot. Under this law, more than 270 million acres - 10 percent of the land in the United States - were turned over to individual citizens. Much of our recreational and tourism sites today hinge on this rich past. This popular 150-acre fishing and power boating lake has 286 land acres with plenty of room for picnicking, hiking, primitive camping, unsupervised swimming, fishing and hunting (in season). Facilities include drinking water and latrines.